Organizations are moving towards a centralized call processing model by leveraging converged IP networks to save costs. But consolidating infrastructure at the headquarters and extending the enterprise to include branch offices and remote sites, requires careful planning. Any downtime in voice services either at the headquarters or the branch offices leads to loss of productivity, profitability and competitiveness. 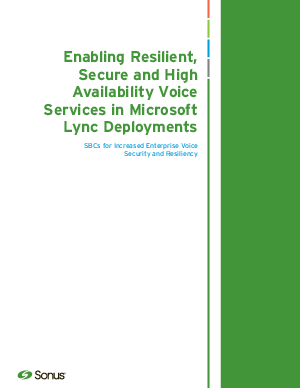 In order to provide branch office employees the same voice experience as in the headquarters, organizations need to consider solutions that provide voice service continuity through a resilient, enterprise-grade telephony architecture. A single-point-of-failure architecture may render remote offices completely unreachable if the data network is down.